In compliance with federal law, Umpqua Community College prepares an annual report on campus services. Crime statistics for the college are based on the prior year's data. Crime statistics for this report are provided by the Security Department, campus security authorities and local law enforcement agencies that provide services to Umpqua Community College properties within their jurisdictions. The report includes crime statistics for the previous three calendar years concerning reported crimes that occurred within the main campus and off-campus sites of Umpqua Community College. The report also provides information regarding campus security and safety, crime prevention and security awareness information, crime reporting procedures, substance abuse prevention and education, campus and community services and resources for employees and students who are victims of crime, and emergency and evacuation procedures, as well as other matters of importance to the campus community. In accordance with the 1998 Jeanne Clery Disclosure of Campus Security Policy and Campus Crime Statistics Act, the Security Department daily crime log is made available, in hard-copy format, to walk-in customers in the office of the Umpqua Community College Facilities and Security Department, located in the warehouse building. The daily crime log contains all crimes reported to the Security Department within the last year. 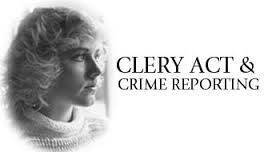 The crime log is updated daily. For more information about the crime log please contact the Security Department at (541) 440-4698 (office) or (541) 440-7777 (duty cell phone) Monday through Friday during normal business hours.